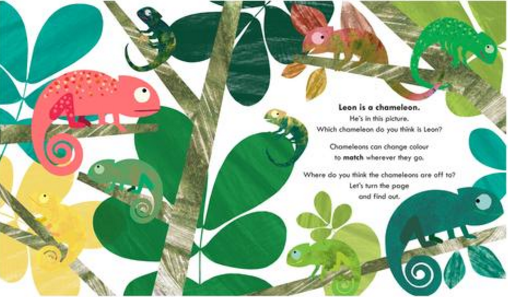 Story: Leon is a chameleon who is neon all the time. He travels to different chameleon communities and habitats, hoping to blend in, but he just can't find a place where he fits in instead of standing out. 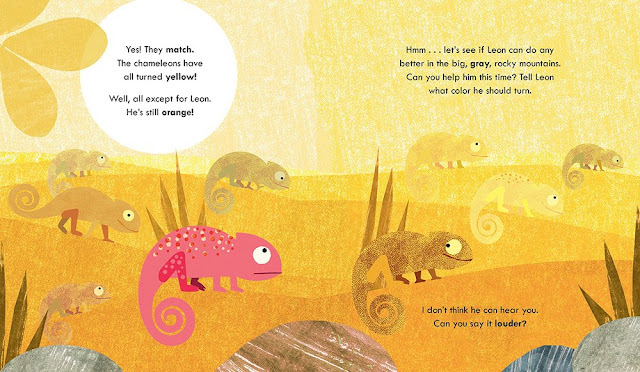 With a happy ending, Leon not only finds a place where he fits in, he also finds a friend who looks just like him! Pictures: I have reviewed many of Teckentrup's books and love her illustration style. Her palette is always out of the ordinary, as is her collage-style, which stands out on the shelves. Why Read? Why Buy? 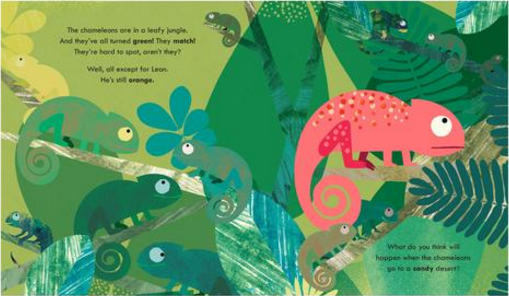 : With call-and-response and questioning aspects to the story, Neon Leon makes for a great read out loud, especially to preschoolers. While adults will see the ending coming, Clarke keeps readers engaged as Leon searches for somewhere to fit in. 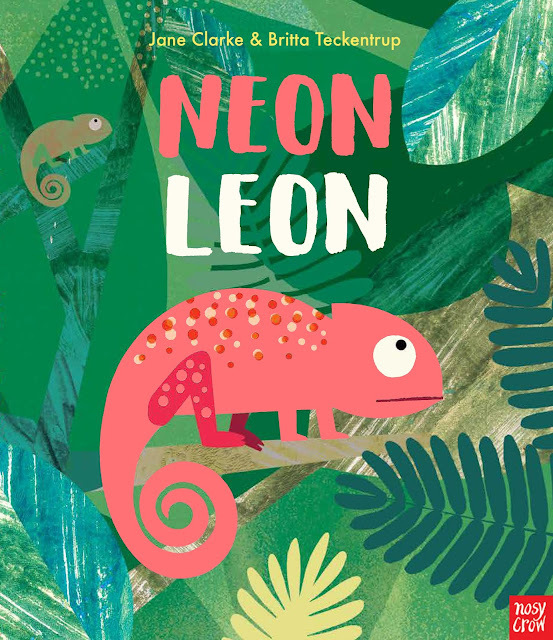 Buy Neon Leon if you like beautifully illustrated picture books that invite reader participation or if you are a librarian or teacher - it definitely works with a lesson on reptiles, animal habitats and animal adaptations.